Address: 1900 S. Eads St.
A new residential building is proposed for the southwest corner of 18th Street South and South Eads Street. This project was approved by the County Board on November 18, 2017. Read the meeting minutes with approved site plan conditions (Item #46). Update: A request for a new residential infill development at the Crystal Houses site was submitted in March 2019 that will supersede the 2017 site plan approval featured on this webpage. 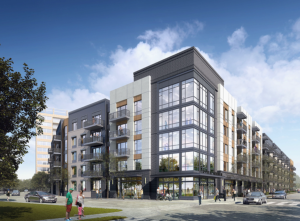 The owner of Crystal Houses proposes to construct a new 5-story, 252-unit apartment building on an existing surface parking lot, including 424 underground parking spaces. 252 spaces will be allocated to the tenants of the new building, and the remainder are to replace the existing surface parking lot. 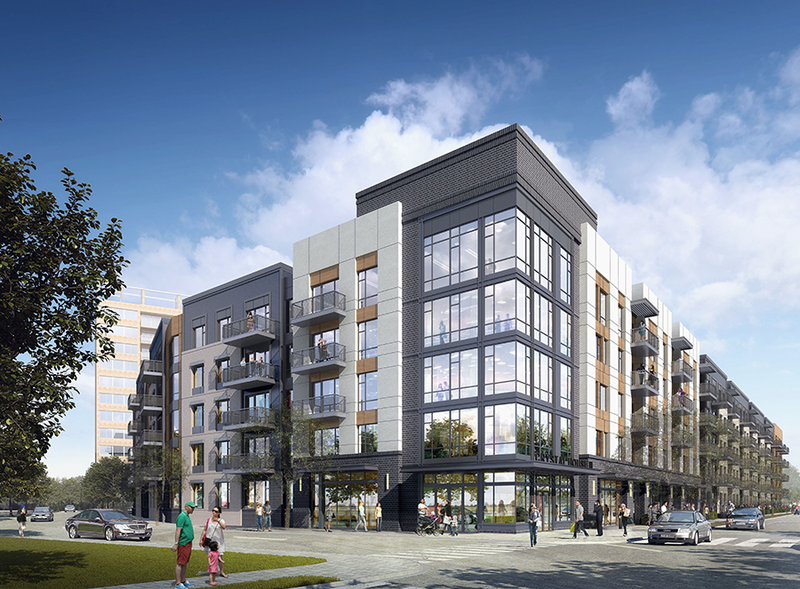 In addition, the developer proposes to dedicate approximately 31,000 sq. ft. as a public park. No rezoning or land use plan change is requested.